In 1998, Eric J. Wittenberg's Gettysburg's Forgotten Cavalry Actions won the Bachelder-Coddington Award for the year's best new work interpreting the Battle of Gettysburg. This fully revised edition adds extensive new research, interpretations, and conclusions that substantially add to our understanding of these important mounted actions. 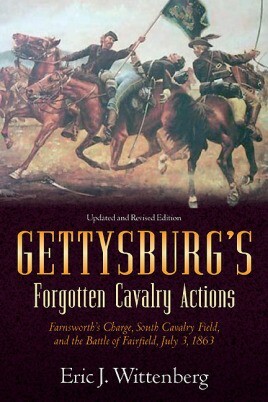 In 1998, Eric J. Wittenberg’s Gettysburg’s Forgotten Cavalry Actions won the Bachelder-Coddington Award for the year’s best new work interpreting the Battle of Gettysburg. This fully revised edition adds extensive new research, interpretations, and conclusions that substantially add to our understanding of these important mounted actions. Gettysburg’s Forgotten Cavalry Actions examines in great detail three of the campaign’s central cavalry episodes. The first is the heroic but doomed legendary charge of Brig. Gen. Elon J. Farnsworth’s cavalry brigade against Confederate infantry and artillery. The attack was launched on July 3 after the repulse of Pickett’s Charge, and the high cost included the life of General Farnsworth. The second examines Brig. Gen. Wesley Merritt’s tenacious fight on South Cavalry Field, including a fresh look at the opportunity to roll up the Army of Northern Virginia’s flank on the afternoon of July 3. Finally, Wittenberg studies the short but especially brutal cavalry fight at Fairfield, Pennsylvania. The strategic Confederate victory kept the Hagerstown Road open for Lee’s retreat back to Virginia, nearly destroyed the 6th U. S. Cavalry, and resulted in the award of two Medals of Honor. 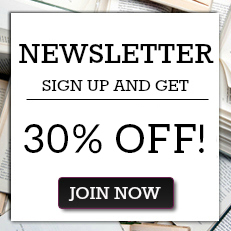 Gettysburg’s Forgotten Cavalry Actions: Farnsworth’s Charge, South Cavalry Field, and the Battle of Fairfield, July 3, 1863 boasts several worthy additions: nearly 15,000 words of new material based upon recently uncovered archival sources, including a new appendix (co-authored with J. David Petruzzi) that resolves the dispute about where Farnsworth’s Charge and Merritt’s fight occurred; a walking and driving tour complete with GPS coordinates; and updated photographs to reflect the modern appearance of the Gettysburg battlefield, which now better reflects its 1863 appearance. About the Author: Eric J. Wittenberg is an accomplished American Civil War cavalry historian and author. An attorney in Ohio, Wittenberg is the author of many articles and the author or co-author of more than a dozen books on Civil War cavalry subjects, including The Battle of Monroe’s Crossroads and the Civil War’s Final Campaign; Plenty of Blame to Go Around: Jeb Stuart’s Controversial Ride to Gettysburg; and One Continuous Fight: The Retreat from Gettysburg and the Pursuit of Lee’s Army of Northern Virginia, July 4-14, 1863. He lives in Columbus, Ohio, with his wife Susan. "For too many years the cavalry, especially the Federal cavalry, and their contribution to the success or failure of the armies to which they belonged has been largely ignored. Over the last decade that has slowly begun to change. Amid the continuing flood of publications on the battle of Gettysburg one might wonder in disbelief that any aspects of the battle are still 'unknown', but three cavalry actions on July 3rd on the southern flank of the armies fall into that category, especially Merritt's fight on South Cavalry Field. Eric Wittenberg's Gettysburg's Forgotten Cavalry Actions rights that wrong. Whether the proper term is forgotten, unknown, or ignored, few people visit these three fields. After reading this book that will change. Armed with Eric's account, John Heiser's maps and some tantalizing 'what ifs' tomorrow's visitors to the park will discover an aspect of the great battle that few before have seen or appreciated, and finally the soldiers who fought and died there will take their rightful place alongside their more well known comrades."